What day should I do it and how frequent? Should I send out a mass e-mail with the concept, guidelines, etc to those I think might be interested? What is a good menu or recipe that will appeal to the masses? Should it be a certain style or theme? What is a good number of guests? Couples or just the ladies? Any advice is greatly appreciated = I'm super excited and can't wait to get the ball rolling on this! I'm even thinking I can maybe make it a "Friendsgiving" to kick it off before the rotation starts. 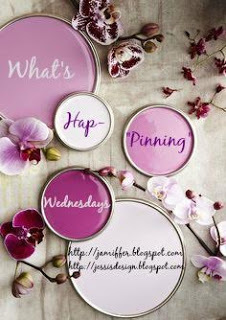 Below is a super helpful pin I found today so let me know what ya'll think and have a fabulous Wednesday! 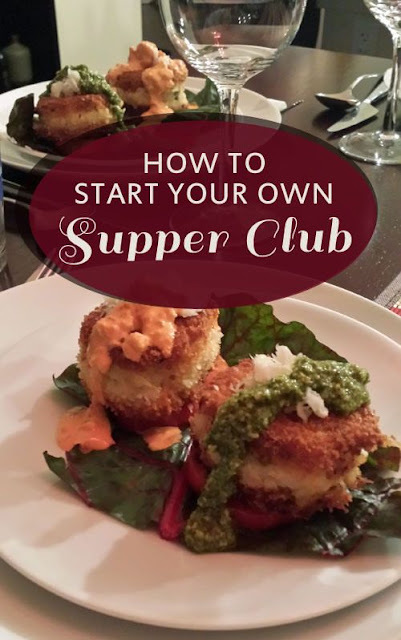 I don't have any experience with it but supper clubs always seem like a fun idea. and a great way to experience some yummy food! I have 0 experience but love the idea so so much! I'll be checking back in the comments to see what everyone else has to say! I absolutely LOVE this idea! I have never been in a supper club before but I frequently host guests for dinner. I like to do it on the weekends because I know week-nights can be hectic for many people. I like to cook Italian but my guests always love pulled pork and homemade mac n cheese too, so maybe different themes would be fun? An email would be fun and you could also start an event page on Facebook possibly? This is so exciting! I ope you have a ton of fun with it and I look forward to hearing more details! Oh this is such a great idea. Sorry, I can't be of help, I have never been apart of a supper club. Sounds like it would be super fun. I LOVE this idea! I've never been in one either but I would say once a month / around 10 people or 5 couples would be perfect :) The host could even provide the main course and an appetizer and people could bring drinks or desserts! This would be so much fun!! We are actually apart of one but the funny thing is, it's us and another couple lol It's been so much fun though - we try to meet once a month (we have always done a weekend night) but right now, we're so busy we won't meet until December. We switch houses every month and whoever hosts makes all the food - app, dinner and dessert and the guest brings drinks :) Thankfully, planning isn't too bad since there's only 2 couples so idk what you'd do to get a lot of people together. Can't wait to hear how it goes!!! Wish I could help, but I haven't even heard of such a thing. It sounds like SO much fun though. I love this idea as well, but I no nothing about starting one. I'll be peeking at the comments, too, to see what I can learn! to be honest, i've never heard of a supper club but just from what i can get from this, it sounds awesome! i wish i could be of more help but i hope you can get a bunch of people involved and have an awesome club. i don't know what it entails but i'd go for couples, unless you have single lady friends, you don't want to exclude them! but if you don't (i don't lol the only women i know/am friends with are married) then go for couples. I so want to start a supper club here too! It's the cutest idea! Supper club sounds like a super fun idea!